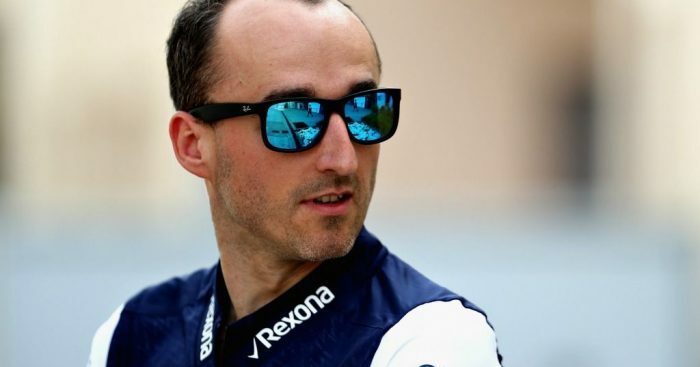 Robert Kubica has suggested Williams may have “different priorities” to him as both work on finalising their 2019 plans. Williams will be preparing to bring in at least new one driver for the 2019 season with Lance Stroll set to join his father at Force India. Kubica, meanwhile, has been looking for a way back into Formula 1 since his rally accident in 2011, but was only able to secure a reserve and development role for Williams in 2018 as they opted for Sergey Sirotkin. But as speculation over Kubica’s 2019 plan continues, he says his options are not just associated to Williams. “From my perspective, nothing much changes,” Kubica told Polish outlet Sokolim Okiem. “I think the coming days or weeks are important as I decide what to do next year. “I may be wrong, but I think Williams has different priorities than I do. “I do not know why people only associate me with this team. Kubica did say, though, he would be ready if the opportunity does arise for him to take a vacant seat. He added: “Today I am still bound by the deal with Williams, but we will see what happens. “From their perspective they can take forever, but I will not be here automatically. “My approach is the same as it was three months ago, three weeks ago, three days ago. “If one of Williams seats is vacant, I will be ready. Over the course of the 2018 season, Kubica has been mentioned as a potential option for Toro Rosso – but he is not aware of those rumours. “It’s news to me,” Kubica said. “I have not heard from Dr Marko, so I’m really not aware of such a possibility. Recent reports have now suggested that it will be Daniil Kvyat and Pascal Wehrlein who is most likely to form Toro Rosso’s 2019 line-up.